Below is the fourth of six parts of an article by John J. Dziak about the Islamic counterintelligence state. Looking outside Islam for other sources of influence we must examine the attraction for Islamists of the premier totalitarian movements of the twentieth century, namely Nazism and Soviet Communism. To begin with the former, Islamism has been characterized as fascism with an Islamic face. Islamism and Nazism/fascism have collaborative roots going back to the early twentieth century in mutually perceived and shared practices, grievances, common enemies, and formative catastrophic experiences. Both shared a deep hatred of Christianity, Western culture, capitalism, liberalism, and Jews and America in particular. Although militant Islam long predates Nazi Germany, its twentieth century resurgence paralleled the rise of Nazism in mutually perceived catastrophes. These were the collapse of the Ottoman Empire — the last Caliphate — and the defeat of Germany in World War I followed by the Versailles Treaty. The contemporary variant of Islamism was annealed in the Muslim Brotherhood (Al Ikhwan Al Muslimun) that emerged in 1928 as a direct reaction to the elimination of the Caliphate by the secularist Young Turk reformer, Kemal Ataturk. Founded by Hassan al-Banna and several followers to focus at first on Muslim spiritual reform, the Brotherhood blossomed in the 1930s and 1940s after pursuing far more active political goals and imitating organizational models from Nazi Germany and Fascist Italy. By the end of World War II the Brotherhood had a half million members just in Egypt, not counting the rest of the Middle East. It had modeled itself on Mussolini’s Blackshirts with all the paramilitary forces, intelligence elements, and secret apparatus common to both Germany and Italy of that era. And in the struggle for political power it fostered terrorism and political assassinations to the point that the Egyptian government had al-Banna himself assassinated in 1949. The Brotherhood collaborated with the Germans before and after World II and with another group of Nazi-fascist imitators, the “Young Egypt” (Misr al-Fatah) movement, two of whose notables, Gamal Abdel Nasser and Anwar El-Sadat, became Presidents of Egypt. Like their Brotherhood friends, Nasser and Sadat’s “Free Officers” were in contact with German military intelligence before and during World War II, resulting in Sadat’s arrest by the British in 1942. An equally important Muslim Brotherhood figure was Sayyid Qutb, frequently billed as the father of contemporary Islamism who helped inspire the likes of Osama bin Laden and his deputy, Ayman al-Zawahiri. Zawahiri is viewed as Qutb’s intellectual heir. Qutb wrote numerous radical tracts that became almost canonical readings for Islamists down to the present, including a thirty-volume commentary on the Koran, and the revered Islamist masterpiece “Milestones” in which he propounded an Islamist seizure of the state by an elite vanguard that would then impose Islam from above. Qutb’s Bolshevik-Nazi style apparently was radically honed during several years (1948-1951) of graduate study in America whose decadence and female liberties disgusted his Islamist sensibilities. Following release after years in Nasser’s prisons, another Brotherhood assassination attempt on the Egyptian leader in the spirit of Qutb’s top-down revolutionary recipe, Qutb was rearrested and executed in 1966. Belated revenge, of sorts, came with the 1981 assassination of President Sadat by the Egyptian Islamic Jihad, an offshoot of the Muslim Brotherhood. Together, al-Banna and Qutb, both heavily influenced by the Nazi-fascist model, put their own unique militant stamp on contemporary radical Islam. For years Islamist dissemblers have tried to hide or play down that troublesome pedigree for obvious reasons. Another key Islamic figure in the Nazi-Brotherhood connection was the go-between for al-Banna and the Nazis: Haj Amin al-Husseini, one-time Grand Mufti of Jerusalem and regarded by many in the Arab world as the founding father of the Palestinian movement and inspiration for the Arab League. Al-Husseini was instigating pogroms against the Jews in Palestine as early as the 1920s, was put on the Nazi payroll in 1936 following a meeting with Adolf Eichmann and, using Nazi supplied funds and weapons, helped initiate the 1936-1939 Arab Revolt in Palestine against the Jews and the British authorities — as well as moderate Arabs and Husseini’s Arab opponents. In 1941 al-Husseini had a major role in the failed pro-Nazi coup in Iraq, followed by a murder campaign against Iraqi Jews. Escaping Iraq al-Husseini fled to Germany where he spent the war years hosted by Hitler and treated as a head of state. During his sojourn in Germany al-Husseini campaigned against the exchange of European Jews for German POW’s and helped in the recruitment and training of Yugoslav and other Muslims for German sponsored and led military units, including those of the SS. According to recent research into German wartime records the Germans had stood up a mobile SS unit (“Einsatzgruppe Egypt”) in Greece for deployment to Palestine to eliminate the 500,000 mostly European refugee Jews there. Al-Husseini and his Arab supporters were to have an important role in this operation that would have been modeled on the Einsatzgruppe units on the Eastern Front. Montgomery’s victory over Rommel in 1942 prevented this from happening. Al-Husseini was heavily involved in atrocities against Jews, Serbs and Gypsies during the war and he was actively sought by Yugoslavia and Britain as a war criminal. After the war the French held him in custody but refused to extradite him. Al-Husseini “escaped” to Egypt with the assistance of the Muslim Brotherhood and spent the rest of his life working against Israel and the West (he died in Beirut in 1974). During that time he and the Muslim Brotherhood worked with German ex-military and security personnel brought in as advisors by King Farouk — to the latter’s regret. The Germans conspired with the Brotherhood, Nasser, and his Free Officers to overthrow the King in a well-executed coup, eventually bringing Nasser to power. One last note on Nazi influence on contemporary Middle East and Islamist developments: the Ba’athist movements in both Syria and Iraq owe a great deal to the Nazi influences vectored into the region by al-Husseini and the Brotherhood. Saddam Hussein in Iraq and the Assad family in Syria were the beneficiaries of that influence, a legacy that both Ba’athists and Islamists would rather be forgotten using the time honored and religiously sanctioned techniques of “taqiyya” (dissimulation or deception) and “kitman” (akin to mental reservation) — more on this to follow. However, Yasser Arafat in a fit of candor a couple of years before his death haughtily dispensed with “taqiyya” when he paid worshipful tribute to al-Husseini as “…our hero…and I was one of his troops [in the 1948 war].” Arafat’s mother was a cousin of al-Husseini and Arafat supposedly spent four years as a youngster with the Mufti after his mother died. Arafat later became active in the Muslim Brotherhood and the Mufti’s own group as well and is rumored to have been involved in running Nazi-supplied arms into Gaza. Arafat’s pedigree suggests that it would be wise for western observers not to make too much of a distinction between an Arab nationalism of an earlier generation and a resurgent Islamism of more recent vintage. 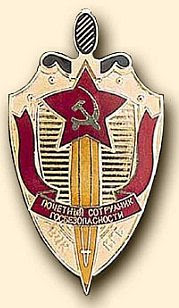 The Soviet intelligence and security services were always at the leading edge of any Soviet penetration or aid effort in the Third World, an operational style which simply replicated the way Moscow injected its presence and interests into Eastern Europe at the end of World War II or, indeed, the way it carried out clandestine efforts to spread its revolutionary influence around the world following the 1917 Bolshevik Revolution. The “Organs”, as they were known in Soviet parlance, were the Party’s instrument of choice in the advancement of Soviet objectives. This continued to the last days of the USSR’s existence and carried over into the practices of the current Russian Federation under Putin, the KGB and GRU being followed by the FSB/SVR — and the unchanged GRU. Wherever the “Organs” went they exported an operational tradition that was based on the nature of Soviet intelligence. The Soviet Union was a “counterintelligence state”, that is, an enterprise in which the premier function of the “organs’ was to preserve the exclusive claims to power of the Communist Party and its ruling cadres. This “counterintelligence state” fixated on enemies, real and imagined, domestic and foreign. From the very first days of the USSR the intelligence services, as they were mistakenly labeled in the west, were imbued with a counterintelligence character, as was the whole of state and society. Soviet foreign intelligence had the demeanor and feel of external counterintelligence, a characteristic inherited in part from its Okhrana predecessor of Tsarist days. The Bolshevik regime was a conspiracy come to power. The Soviet Union in practice was a seventy-one year old counterintelligence operation raised to the level of a state system. The Party and the secret police operated in a conspiratorial amalgam perpetually focused on “enemies.” When this system projected itself, either invasively or through assistance to clients, the same structure, habits, and mentality were imposed or emulated on the receiving end. Organic to such a counterintelligence system is the widespread practice of provocations, diversion, deception, disinformation, “maskirovka” (military focused deception), penetration, and other active measures of a highly aggressive nature (hereafter collectively referred to as deception or active measures). From the first days of the Bolshevik regime these aggressive operations were conducted on a truly strategic scale, targeting Moscow’s domestic and foreign enemies, the celebrated Trust (or Trest) legend being just the more visible of numerous similar major actions. An institutional mechanism, called the Disinformation Bureau, for coordinating and orchestrating active measures was established in the GPU (state security) in 1923 by a Politburo decision; its successors exist to this day in several intelligence organs, the military, and other Russian state entities, albeit with various name changes. By the end of the Cold War the Party, the secret police and the military had in place a highly structured and centrally coordinating mechanism for all aspects of active measures and “maskirovka” (military deception), to include a wide range of defensive and offensive activities. This structure and associated operations carried over intact to the successor Russian Federation. When the Soviets mounted their thrust into the Third world in the 1950s, the security organs were dominant with the KGB in the lead. The GRU took point for the Soviet military. In the Middle East the KGB and GRU worked with their intelligence and security counterparts in Egypt (they were later thrown out by Sadat), Yemen, Syria, Libya, Iraq, Algeria, and others. The “others” included various terrorist groups throughout, but not limited to, that region (e.g., the PLO, PLFP, ETA in Spain, etc.). Moscow supplemented its presence in the Middle East and elsewhere with cadres from the East European (especially East German) intelligence services, and Cuba. Some of the Russian intelligence relationships continued after the collapse of the USSR, especially the ones with Syria and Iraq. The connections with Iraq were obvious in the events leading up to Desert Storm in 1991 and the U.S. invasion of Iraq in 2003. The Russian Federation still maintains the same close intelligence links with the Syrian Ba’athist Regime of Bashar Assad that its Soviet predecessor had with his father, Hafez al-Assad. Next to Iran, Damascus and its intelligence arms probably have more intimate links to Islamic terrorists, including the Iranians, than any other Muslim state. Indeed, one of the most persistent deceptions has been the carefully fostered myth that most Islamic terrorist groups are transnational, with no direct state support. Syrian links to Jihadists in Iraq as well its decades-long provision of safe haven to numerous secular and Islamist groups (including Iraqi Ba’athists today), reflects the pattern from the Soviet era when Moscow and its surrogates both perpetuated the legend of non-connectivity to their terrorist clients. The reported January 2006 visit of Iranian President Ahmadinejad to Damascus where he met with Bashar Assad and with one of the worlds most notorious and wanted Islamic terror chiefs, Imad Mugniyeh, would fit with long Syrian practice. The old Soviet intelligence connections entailed far more than mere liaison for information sharing. Training for insurgency, terrorist, and military operations occurred both in the Middle East and back in the Soviet Union and East Europe. Huge quantities of weaponry and other military equipment had flooded the region over several decades. It is no accident that the signature weapon of Islamist terrorist groups today is the AK-47 assault rifle. This intelligence and military collaboration also included the whole panoply of techniques in deception, disinformation, maskirovka, etc., at which the Soviet and, later, Russian intelligence services excelled. The Iraqis demonstrated their adeptness at these lessons before and during Desert Storm (witness their success in evading US/Allied searches for their elusive mobile SCUD missiles) and in the interwar period in their cat and mouse games with UN inspectors and US intelligence searches for their elusive weapons of mass destruction (WMDs). It must be remarked, too, that the long years of the anti-Soviet Jihad in Afghanistan provided hands-on training in which thousands of mujahideen from around the Muslim world absorbed Soviet battlefield intelligence, counterintelligence, and associated deception experience — and how to counter it. In sum, decades of Soviet intelligence warfare, technology, influence, tutelage, and presence were added to existing Islamic Jihadist traditions in the world of deception and counter deception. As Arab nationalist and pan-Arabic dreams died in the repeated failures in the multiple Arab-Israeli wars and the collapse of their main patron — the USSR — Islamists picked up the march. The discredited secular radical movements were either overtaken by, or morphed into, the existing Muslim Brotherhood and its spin-offs. Salafists, Al-Qaeda, other Wahhabist or Sunni radical elements, and Shia radical groups rounded out the trend. While pan-Arabic dreams may have evaporated in disillusion, Moscow’s intelligence legacy has left its mark, being absorbed in today’s Jihadism in ways probably unforeseen by its original Soviet craftsmen. Resurgent, radical Islam’s encounter with the twentieth century’s two violent totalitarian ideologies produced a troubling legacy and residue. Whereas the victorious Allies dug Nazism out root and branch in conquered Germany through a determined program of de-Nazification, core elements of Nazi ideology nevertheless have prospered in radical (and not so radical) Islamic thinking especially in its noxious anti-Semitism. Iranian President Ahmadinejad’s ugly rants about Israel and the holocaust are representative of this phenomenon. The longer-lived infatuation with Soviet Communism, especially in its conspiratorial, Bolshevik elitist and active measures dimensions, added still more layers of totalitarian style to a militant theocratic mindset inclined to millenarian thinking to begin with. The fact that a process of de-Communization never materialized to exorcize seventy-one years of Soviet mass murder and other criminality, seems to have had the effect of sanctioning the totalitarian legacy gifted by Moscow’s long association with radical Middle Eastern states and movements. The thuggery of the Iraqi and Syrian Ba’athists, Libya’s Qaddafi, the Iranian Mullahs, and the various Islamist terrorist groups is but one example of the bitter fruit of that long romance. This section draws on the following series by Marc Erikson: “Islam, Fascism and Terrorism”, Asia Times, Parts 1 — 4, 5 & 8 November 2002, 4 & 5 December 2005. Obviously the roots of Nazism and fascism long predate Germany’s World War I defeat. Likewise, the notion of a revived pan-Islamic movement began in the late nineteenth and early twentieth centuries. But Germany’s and Islam’s mutually perceived losses in the wake of the war were the proximate events which precipitated Nazi and Islamist stirrings and helped to foster a shared identity politics of grievances between them. For a detailed examination of the Egyptian roots of contemporary Islamism and the roles of al-Banna and Qutb, see: J. Bowyer Bell, Murders on the Nile: the World Trade Center and Global Terror, San Francisco: Encounter Books, 2002. For a fuller discussion of the Nazi connection to Islamism, see Matthias Kuntzel, “Islamic Antisemitism and its Nazi Roots”, April 2003 (presented at a conference on “Genocide and Terrorism — Probing the Mind of the Perpetrator”, Yale University, 11 April 2003. See Washington Times, 13 April 2006; Boston Globe, 7 April 2006. The research is found in a new work, published in Germany, titled: Germans, Jews, Genocide — The Holocaust as History and Present by Klaus-Michael Mallmann and Martin Cueppers. A penetrating and concise evaluation of al-Husseini’s virulent anti-Semitism and Nazi involvement may be found in David G. Dalin, “Hitler’s Mufti,” First Things, August/September, 2005, pp. 14 — 16. Al Quds, 2 August 2002. For details on Soviet/Russian intelligence and the role of deception, see: John J. Dziak, “Soviet Deception: The Organizational and Operational Tradition”, in Brian D. Dailey and Patrick J. Parker (eds. ), Soviet Strategic Deception, Lexington, MA: Lexington Books, 1987, pp. 3-20; and John J. Dziak, Chekisty: A History of the KGB, Lexington, MA: Lexington Books, 1988. It is no accident that the Russian Foreign Intelligence Service (SVR) dates itself to 1920, when the Foreign Department of the CHEKA was established. The KGB (State Security), now known as the FSB, celebrates 1917 as its birth year, that is, when the CHEKA was established. The CHEKA, KGB, and FSB fundamentally were/are counterintelligence services. When Lenin and Dzerzhinsky decided in 1920 to create a Foreign Department of the CHEKA, the Civil War was virtually over, the CHEKA having played a key role in the Bolshevik victory. The Trust (Trest) was a combined provocation and active measure (kombinatsiya in Russian) — a classic strategic counterintelligence operation simultaneously targeted against domestic and foreign intelligence enemies. The operational “style” of the Trust characterized the intelligence lessons the KGB and GRU imparted to their clients and surrogates since 1917. V. A. Kirpinchenko (ed. ), Ocherki Istorii Rossiyskoy Vneshney Razvedki, Tom2, 1917 — 1933 (Sketches form the History of Russian Foreign Intelligence, Vol. 2, 1917 — 1933, Moscow: International Relations, 1996, p. 13. The Sunday Times, 23 April 2006. Janes’s Intelligence Review is cited along with former and current US officials that a terrorist intelligence summit occurred in Syria at this time in which Mugniyeh and the Iranian President participated. 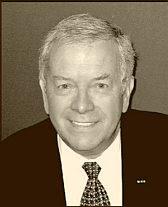 Mugniyeh, who is linked to the bombing of the US Embassy and Marine barracks in Beirut in 1983, the torture and execution of the CIA Beirut Station Chief William Buckley in 1984, and the 1985 highjacking of a TWA jet and murder of a US Navy diver passenger in 1985. He is considered one of the most dangerous and capable Islamic terrorist operatives ever and has been intimately linked with Iran and Hezbollah. The same sources concluded that Mugniyeh is charged with overseeing Iran’s retaliation against the West should the US attack Iran’s nuclear weapons’ facilities. Among the premier KGB/GRU sites in the USSR for such training were Balashika in European Russia and Simferopol in the Crimea. This statement applies to the former Soviet Union. Selected former Communist East European states— Poland, the Czech Republic, the Slovak Republic, and Hungary in particular — have enacted limited measures to cleanse their political systems of the Communist legacy. None of these actions, however, equaled the scope and intensity of the de-Nazification measures of an earlier era. Still, they far exceeded anything the Russians timorously undertook.